Despite these investments, the continued growth we have seen in Briarwood’s ministries, and the hard work of leaders through the years, the finances of the retreat center have been a continual challenge. One large component of that challenge was the debt that continued to be held by Briarwood. This debt is both from the original land purchase in the 1990s that was never retired, as well as ongoing operational debts over many years. This debt service resulted in continual cash flow challenges that the staff and board had to manage. As part of the restructuring of Briarwood’s leadership model (which included the retirement of the Rev. Phil Geleske as Executive Director and the restructuring of the leadership team in partnership with NT-NL), the Briarwood board also approved the sale of up to 10 acres (of the 70 Briarwood encompasses) along Copper Canyon Road for residential development. Staff was consulted on this sale, and it was determined this is land not regularly utilized by the camping or retreat ministries and whose sale would not impair continued operations. The goal of this sale was to generate enough proceeds to both pay down debt as well as provide additional capital for projects and initiatives to grow revenue and make a sustainable financial future a real possibility. Thank you for your support of Briarwood’s ministry. As we move into this future vision, we encourage all NT-NL communities to reconsider and recommit their support of Briarwood through gifts of time, talent, and finances. We are grateful for your work. 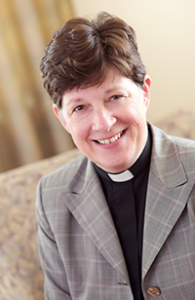 In this reprint of her January 2017 column in Living Lutheran, Presiding Bishop Elizabeth Eaton reflects on the new year: “Here is where the gift of grace … helps us make sense of our lives and resolves the stress of New Year’s resolutions—it acknowledges that we are broken and does away with the false hope or the intolerable burden of our being able to make ourselves right.” Read her column in English: Happy New Year!, or lee su columna en español: ¡Feliz Año Nuevo!. Since 1999, Craig Mueller has served as pastor at Holy Trinity Lutheran Church, several blocks from Wrigley Field in Chicago’s vibrant and fluid Lakeview neighborhood. 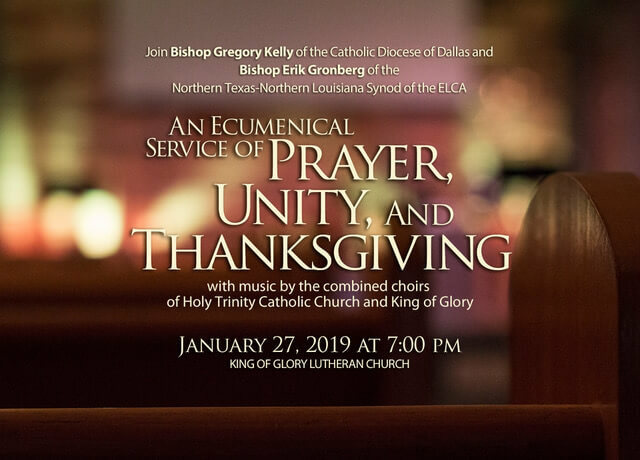 The congregation is known for its inclusive welcome, traditional liturgy, progressive theology, and its commitment to both spirituality and social justice. “For at least 25 years, Holy Trinity has been giving careful attention to how language reflects our radical welcome. For example, in preaching, liturgical language, and an emended version of the lectionary scripture readings, we omit male pronouns for God, hoping that our children will grow up without associating God with maleness. In addition, we try to occasionally use texts that present maternal images for God. Before same-gender couples were allowed to marry we used terms like ‘committed relationships’ and we have tried to define ‘family’ in expansive ways.” Click here to continue reading and to learn more.